This is a painting I did for IllustrationFriday.com for the word "muddy." 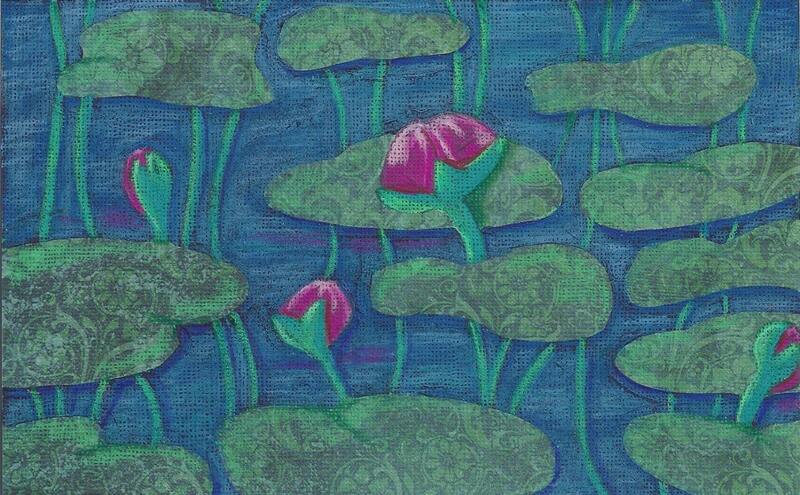 I paited it on patterned scrapbooking paper which only shows on the lily pads. I chose the lotus because it needs mud in order to grow. It starts its life in the muck and mire and rises to the light to bloom. Many religions consider the lotus a sign of enlightenment. Each notecard measures approx 4x5" and comes with a white envelope in a cello sleeve for protection. The card is blank so you can write your own special message.